In order to avoid promotion fails on Instagram, everyone who deals with sells, should know some typical mistakes that lead to losses or don’t let you get a deserved profit. Here are the most common ones. Instagram is democtative society, where everyone can tune privacy settings. You can easily do it in your personal account, and let only some people to see your pictures. For the case of company’s account, it’s the reliable way to fail promotion forever. In such important matter as promotion one should see what he or she subscribes for. You should remember that no one is going to wait until you approve the subscription. The potential follower is sure to find more interesting opened accounts. Nowadays content is extremely various. Why not to use entertaining, informative, training, business content? Accounts containing only one type of content are very boring. Diversity is what everyone needs. Psychologists say that numerous posts from the same account irritate and make the follower just to flip through it or even to unsubscribe. If you’ve made dozens of pics, reserve them for the spare time, when you’ll have nothing to show. Such days occur. It’s reasonable to post two or three posts a day. If you are just a beginner, you should answer to all comments. Even if they seem to be made by robots. In this way you will show that you appreciate the opinion of an audience. Communicate - it’s the aim of Instagram. Mention the follower with @ + their nickname. Thus, he or she gets a notification. Your answer should be interesting; engage the companion into the dialogue. They say that many hash tags make the content look a spam. But the thing is that instagrammers look for goods and services with their help. It’s such a simple way to make the photo noticeable. Don’t neglect it! It’s proven that after having seen a photo with a hash tag, many people are eager to know what picks with the same hash tag were posted recently. You’d have to use popular hash tags on your topic, or invent some specifically for your brand, and use them at the end of every post. Put it in photos from the places your audience visits. It helps to get new followers. There is some necessary information that every profile should contain. It may be some info about you company and its location, the info on how to contact you. There also can be tips on delivery information. Today’s etiquette demands to include a link to the website, blog, or promotional page if you have one. No big business can have an empty or a boring icon. Bright photo reflecting your business idea is sure to attract attention. 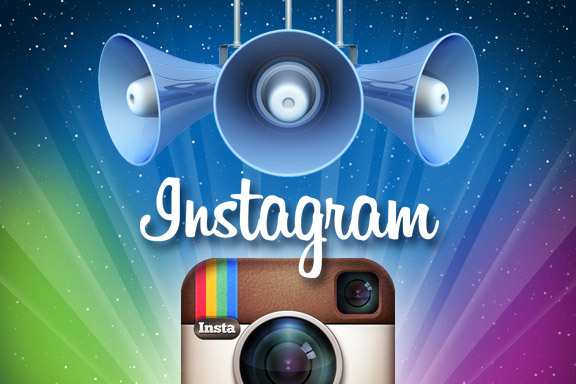 Instagram’s aim is to make people to communicate. Look for audience, make friends, put likes to their photos. There should be more followers than accounts, otherwise your account looks suspicious, don’t you think so? Business accounts must have a well thought-out strategy. The plan should prescribe what photos and when you are to post, what text to use for them, and what filters to use. There is a rule. Only 20% of the posts must be about goods. Otherwise it’s too boring, isn’t it? Post about backstage process – manufacturing, interesting posts, write about your business strategies, and make entertainment posts. Those who reject mutual PR, paid advertising posts, and joint flash mobs are sure to lose potential subscribers, and the profit as a result.